This article discusses simple ways to overcome the fear of public speaking. Public speaking is one of the things that makes many people nervous and uncomfortable. The fear of public speaking also known as Glossophobia, manifests itself through symptoms such as: anxiety, panic, shaking hands, sweating, dry mouth, faster heart rate, nausea, shaky voice, lost train of thought etc. Most of the fear stems from performance anxiety before the presentation and anxiety over the question and answer session. However, the fear itself should not stop someone on their tracks; there are ways of working through the fear of public speaking so that it does not affect the effectiveness of your presentation and delivery. You can quickly skim all the 15 ways on the table of contents below and then click on any tip to read further details. Please enjoy reading. Thank you. The most simplest of tricks is to remind yourself that every day you do public speaking in the form of talking to loved ones, colleagues, friends, neighbors etc. and you do it very well. Therefore, you are good at speaking; the only difference is that now the number of people might be more and they could all be strangers. We usually feel that we have to speak in a different way when addressing large gatherings and this is part of the cause of the anxiety because many questions go through your mind – How should I talk? Should my voice be high, medium, low? Can everyone hear me? Do I sound authentic? Can people understand what I am saying? Is my delivery effective? Etc. The biggest confidence booster for public speaking is knowing your material. Doing your homework, researching, organizing, rehearsing and preparing well are good recipes for improved success. When standing in front of an audience, it typically becomes quite hard to read your speech, presentation notes and materials when they are in small font. Straining or struggling to read can throw you off balance. The difficulty in reading can cause anxiety and nervousness. A good practice is to save and print your notes, speech and personal handouts in a large font such as font size 20-30. You will have more pages to print out but on the flipside it will be easy to read. Just like when you set out on a road trip you need to chart out in your mind a mental map of where you are going and how you will get there, similarly dream up mental images or pictures of yourself giving a stellar presentation. Have a mental map of what you want to achieve and accomplish then work to bring your dream or vision to reality. Visualize yourself as being confident on stage. You can also take time to carefully watch other public speakers, study how they do their delivery and learn a few tricks from them. Dress smartly according to what the occasion warrants. Dressing properly affects the way you feel and your confidence. When you look good, you feel good and when you dress professionally with style and elegance, you are viewed more favorably and taken more seriously by your audience. Most importantly dress in comfortable clothing. Good grooming is important as well. Listen to music that gets you in a good mood and helps you to relax before speaking publicly – it could be soft soothing music or loud music with mega-beats. Whatever works for you. Breathing exercises – especially breathing in deeply and then exhaling – helps because as you focus on the breathing process you stop focusing on fear or anxiety. Public speaking courses are also a good idea to practice public-speaking role playing in a safe non-judgmental environment. In other words get to know the layout of the room, where the podium is (if there is one), where the multimedia equipment is and how to operate the equipment. Do a quick set-up and test of your presentation e.g. are all the PowerPoint slides running ok?, How much room do you have available to “wander around”? Look out for hazards – such as wiring or cables that might be on the floor – the last thing that you want to do is to trip and fall in the middle of your presentation. Also greet and talk to some of the participants who may have arrived early, that way when you are presenting you can look around and see the “allies” that you had interacted with earlier and it improves your comfort level. Drink some water before your presentation. Also have a glass or bottle of water nearby and do not be afraid to take sips of water from time to time as you speak. The last thing you want is to struggle to speak because your mouth has become dry. Call the meeting to order then perhaps you could start out with a joke, a story, a quote, a proverb or simply by welcoming the audience, then introduce yourself and run down through the purpose or agenda. Also capture attention at the end of your presentation by ending it with a story, a proverb or a quote. If you are particularly skillful at storytelling, you could start off your presentation with a great story and give out only so much detail to keep the audience hooked, then you give the last part of the story at the end of your presentation. The effect is that your audience will be in suspense until the very end. One thing to note is that telling a joke at the beginning of a presentation carries some risk with it – you need to be comfortable with telling jokes otherwise there is a risk of the joke backfiring, if in doubt it is best to skip the joke. Speak at a comfortable pace, don’t talk too fast, speak clearly, use pauses appropriately, stand tall (strike a confident pose), and smile. If you have PowerPoint slides resist the temptation to constantly face the slides and read them word for word. Face the audience. Try walking around the room if possible. Utilize your observation skills – observing how the audience is behaving especially their non-verbal cues can give you some insight into whether your delivery is being effective or you need to make some minor corrections along way. Just like in driving where you are constantly making steering adjustments to maintain the course, also in public speaking you can make subtle adjustments along the presentation to aid in your delivery. At the same time don’t read too much into blank stares from the audience. They could be focusing on and listening to what you are saying and saving applause and/or questions till the end. One of the biggest compliments that you can pay someone is looking at them directly in the eye when talking. Maintaining eye contact conveys interest, attentiveness and respect. We are talking about a gentle and genuine soft gaze into someone’s eyes. Eyes help us to make a connection with others. Avoiding eye contact or too little eye contact during public speaking could convey negative signals such as uneasiness, insincerity, lack of interest, disrespect, boredom etc. At the same time you do not need to stare down at the audience when you are either listening to them or talking to them. You don’t want to come across as being rude, overly aggressive or domineering. You can glance sideways from time to time and then shift your gaze back to someone’s eyes. When talking to a group of people or a crowd move your focus from one section of the group to another and from one individual to another while giving each section “quality eye-time”. Don’t just focus on one section of the audience and forget to look at the other members. 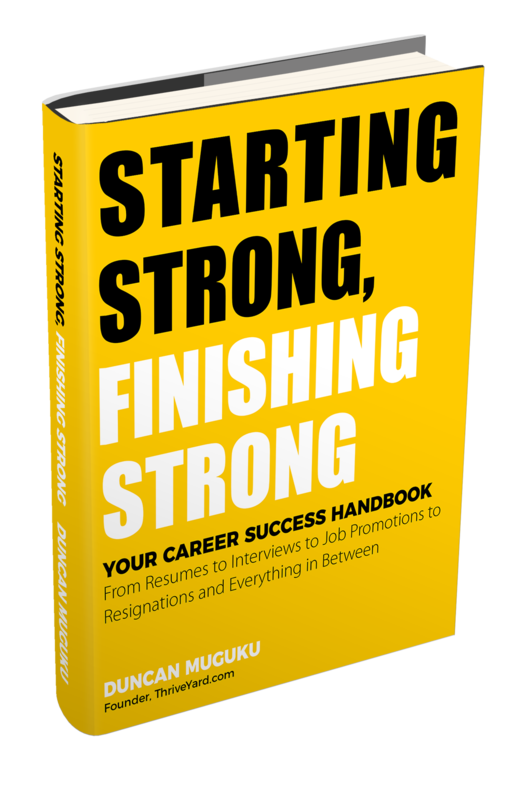 Avoid jargons and acronyms to the greatest extent possible. Spell out the acronym in full and look for synonyms to jargons or use simple and easy to understand terms. When it comes to Jargons implement ‘Police Code’ 10-0 (Use Caution) otherwise you might end up doing a 10-3 (Stop Transmitting) to the audience. As mentioned earlier, part of the fear of public speaking stems from questions because these are unknown quantities and you don’t know what will be coming at you. A tsunami of questions raining down on you in the middle of your presentation could affect your delivery or flow. Too many questions in the middle of the presentation could also eat up valuable time and you end up rushing to complete the presentation with little time remaining. Questions Management entails letting your audience know before-hand how you prefer to deal with questions. Some presenters prefer questions being asked throughout the course of the presentation, others prefer questions only at the end and others prefer a combination of the two. Whichever style works for you, please let your audience know at the beginning of the presentation to help in managing expectations. 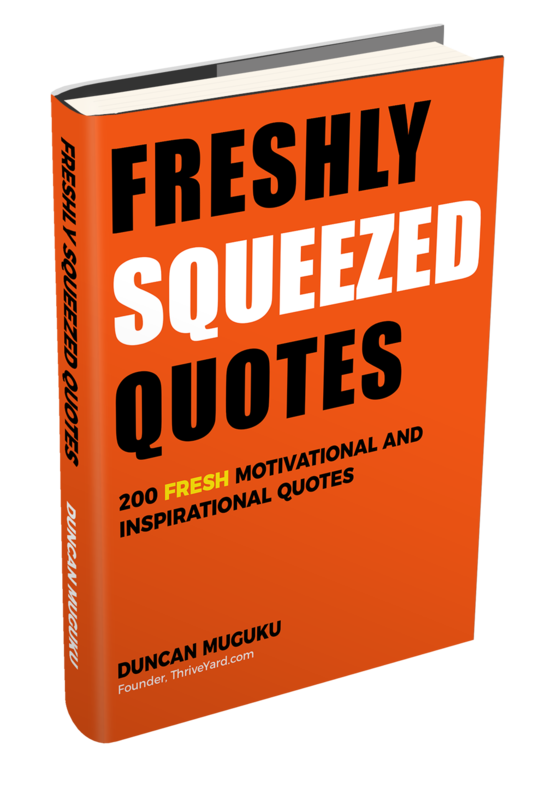 Questions are also a good feedback mechanism, they are a measure of how engaged the audience is, they correct any misunderstandings, they also offer deeper insights and new ways of looking at information. Anticipating tough questions and preparing for them in advance is a useful practice that helps in answering questions confidently. Thank the person who asks a question. Finally, public speaking is an ongoing, continuous improvement activity where you keep improving each time you do a presentation. Do a post mortem after each speech or presentation; analyze what you did well and what you need to do better. A little anxiety prior to public speaking is not a bad thing; it actually helps to keep you sharp and focused. It is sort of a feedback loop that what you are about to do or what you are doing is very important and you are drawing upon all your senses to help you in your delivery. 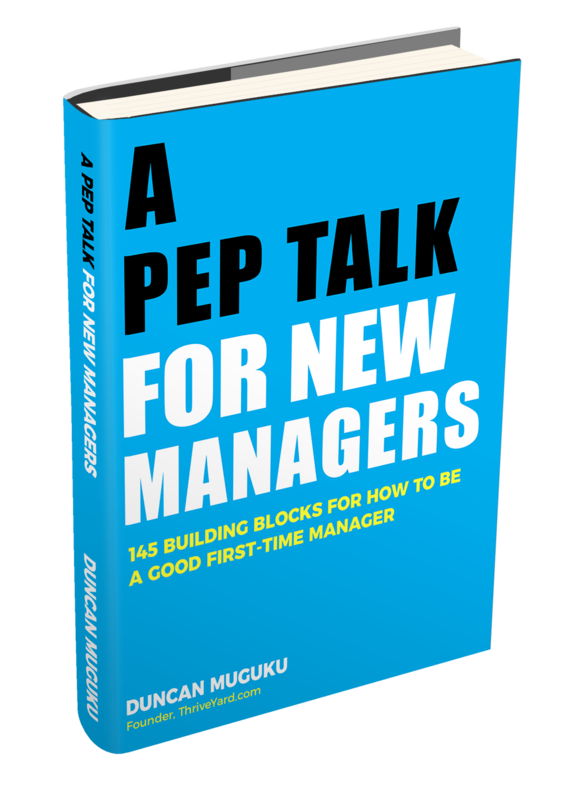 For most people, including myself, the fear of public speaking is an ever-present reality, the skill to continuously work on is how to keep the fear under wraps and manage it effectively. Keep practicing these techniques and add more of your own unique style and approach and public speaking won’t be as terrifying. 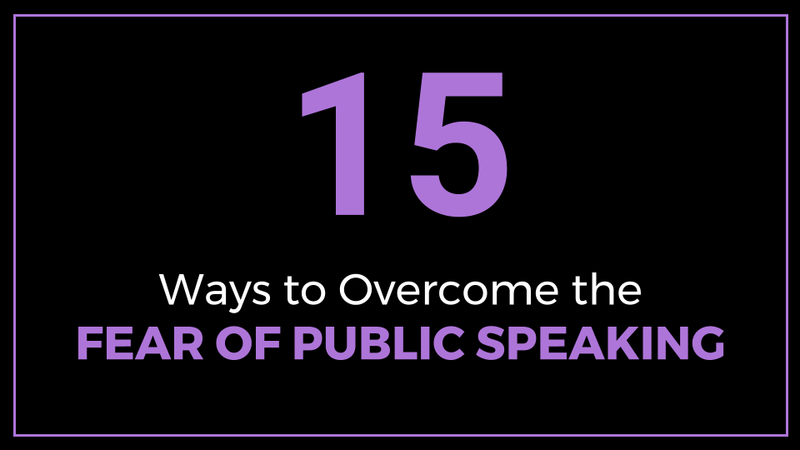 This article highlights ways to deal with and overcome the fear of public speaking. Tips include know your material, print your speech in large font, visualize the presentation, get comfortable with the venue, capture attention at the beginning and end, project your voice well and engage with the audience.